500 outstanding 3-minute films on SCIENCE, made for teachers of students aged 9 to 16. Researched and reviewed by academics, producers and scientists. WCAL is working with Twig to promote it’s products globally. The King Abdulaziz and his Companions Foundation for Giftedness and Creativity was established by the Saudi Royal Family. Its mission is to develop future leaders, entrepreneurs and innovators able to lead the country in the future. WCAL is responsible for developing a comprehensive textbook series for gifted students, aged 8-18, in mathematics, science, English and ICT, together with supportive teachers' guides to assist teachers in implementing these advanced materials within the classroom. This series includes computer-based learning materials. WCAL is also responsible for developing classroom assessment materials and annual tests. 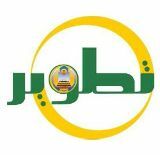 We run Moodle-based on-line professional communities for teachers in Mawhiba schools. Martin Ripley is working with Tatweer, supporting the development of a strategy for the transformation of Saudi schools. We are providing strategic educational consultancy services to ACCA. ACER is a leading provider of educational research. We are working for ACER on the development of the PISA 2012 mathematics tests, including a Computer-Based Assessment of Mathematics (CBAM). ATC21S was established in 2009 by three sponsors - Cisco, Intel and Microsoft. The purpose of the project is to design and develop examples of 21st century assessments of 21st century skills - such as problem solving. Martin Ripley has been a member of one of the five working groups, commissioned to review frameworks and domain descriptions of 21st century skills, since its inception in 2009. WCAL has now been appointed to develop assessments - both in the form of short, summative test items and in the form of classroom assessment - for ACT21S. The 21st Century Learning Alliance aims to provide a unique and powerful forum with wide representation from practitioners, government agencies and industry. WCAL provides a range of support to the Alliance - as a sponsor, office administrative support and website development. Martin Ripley is a Director of 21st Century Learning Alliance Ltd.
Martin Ripley is a Director of the e-Assessment Association, established to communicate the positive contribution that technologies can make to assessment. Martin is one of the original Directors of the eAA and runs the Publications activity of the Association. ETS provides tests and assessment worldwide, and undertakes related educational research. We have worked jointly with ETS USA to research the use of single-level tests and their use in schools. JISC's role is to lead UK colleges and universities in the innovative use of digital technologies. We were awarded a JISC project grant to research innovative uses of technology in e-assessment. A range of reports have been published. The Driving Skills Agency delivers tests from over 400 driving test centres and 140 theory test centres. The DSA has statutory responsibility for setting standards and conducting theory and practical driving tests, and it is an agency of the Department for Transport (DfT). We provided a quality assurance function in relation to an e-assessment procurement project run by the DSA. The CAA is the UK's specialist aviation regulator. WCAL provides expert e-assessment quality assurance for the CAA's e-assessment procurement programme. LogicaCMG delivers business consulting, systems integration and outsourcing across all industries and business functions. WCAL provides e-assessment and procurement experts to LogicaCMG to support them in acquiring new clients and in meeting the needs of existing LogicaCMG clients for expertise in e-assessment. Based in New York, Wireless Generation creates innovative uses of mobile assessment software to give teachers better classroom assessments and to make data available to teachers. WCAL ran a pilot of Wireless Generation; handheld PDA reading and early literacy assessments in Wolverhampton, UK. QCDA develops the curriculum and delivers assessments for schools and colleges in England, as well as keeping qualifications under review. WCAL provided project management, developing a suite of "Understanding Progress" information leaflets for parents. Becta leads the national drive in UK schools and colleges to inspire and lead the effective and innovative use of technology. WCAL has undertaken a number of roles for BECTA, including interim management, e-assessment research, authoring articles and pamphlets on technology and assessment, and speaking engagements. Cisco Systems, Inc. is the worldwide leader in networking for the Internet. We have worked with Cisco (and through them the Partnership for 21st Century Skills - P21 - based in the USA) to create a detailed resources guide for developers of 21st century learning. This material has subsequently been published by P21 as their Framework for 21st Century Learning at http://www.p21.org/. West Virginia has been internationally and nationally recognised for its 21st century learning. We provided advice to West Virginia on the design of assessment in the 21st century, and in the use of technology in assessment. WCAL has provided research into the use of e-portfolios for the DCSF. We have provided advice to support KPMG in preparing tender response documents in relation to the use of technology in education. Futurelab is an independent not-for-profit organisation that is dedicated to transforming teaching and learning, making it more relevant and engaging to 21st century learners through the use of innovative practice and technology. We researched and wrote Futurelab's literature review of e-assessment and the use of technology. Martin Ripley is a member of CRELL's expert forum on the use of technology in assessment, and has contributed articles to The Transition to Computer-Based Assessment - New Approaches to Skills Assessment and Implications for Large-scale Testing and Towards a Research Agenda on Computer-based Assessment - Challenges and Needs for European Educational Measurement. Martin Ripley was Director of the Student Academy at NAGTY until the programme was closed in 2007.